Cozy Chicks: SUPPORT WORLD SPAY DAY! 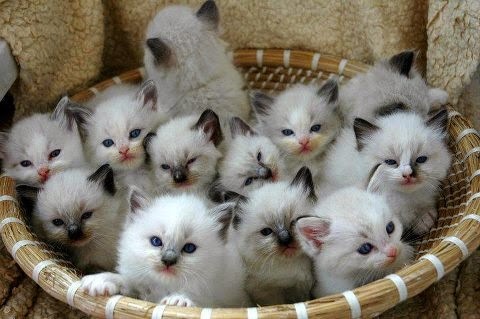 Check out this basket of cute kittens! (One of my friends calls it "The Crazy Cat Lady Starter Kit") Yes, they're adorable, but will they all have homes? Many of you joined the fun at our Cozy Chicks Love Pets Valentine's Day Party last week and it was wonderful see that so many of our readers are also animal lovers. I know I'm preaching to the choir here, but please tell everyone you know that "spaying or neutering your pets is likely the best decision you'll ever make on their behalf." World Spay Day on February 24th serves as a reminder that we have a duty to these wonderful animals and to our planet. Every year, there are an estimated 6-8 million animals entering shelters and only half are adopted. The rest are euthanized. This is sad but true. And spaying and neutering isn't just for dogs and cats, it's also important for rabbits. Did you know that rabbits are the third most relinquished pets at animal shelters? 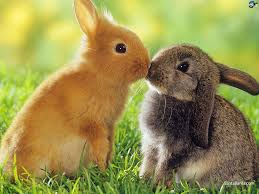 Rabbits can live between 8 and 10 years, producing countless offspring. Please do everything you can to educate your friends and neighbors about the importance of having their pets spayed and neutered. Sometimes a word of encouragement is all they need. If finances are tight, there are many organizations that will provide low cost spay and neuter services in your area. Just call your local shelter for details. To end on a happy note, congratulations to Mare Fairchild, who shared our Cozy Chicks Valentine's Day bash! Mare, please message me with your snail mail address and your cat tote bag will be winging its way to you. Thanks for stopping by! Thanks so much for this post Mary. It's hard to express just how important spaying and neutering is. Volunteering at a shelter, I see the result of animals not being spayed/neutered. Here in CA, we haven't really had a Winter, and the cats think it's Spring, so we are already getting litters of kittens in at the shelter. It is going to be a very loooong "kitten season". As the kittens start coming into the shelters, they start getting them out into foster homes, but before long they will run out of fosters and that's when it gets ugly. Kittens that are not of an age/size to be adopted cannot stay at the shelter, so if they have no foster homes....well, you see the problem. The only solution to the animal over population is to get those animals spayed/neutered. More and more places have low or no cost spay/neuter programs. If someone thinks they can't afford to get their pet spayed/neutered, they should contact local animal organizations to see what services are available. I can never understand, why people don't want to get their pets spayed or neutered. 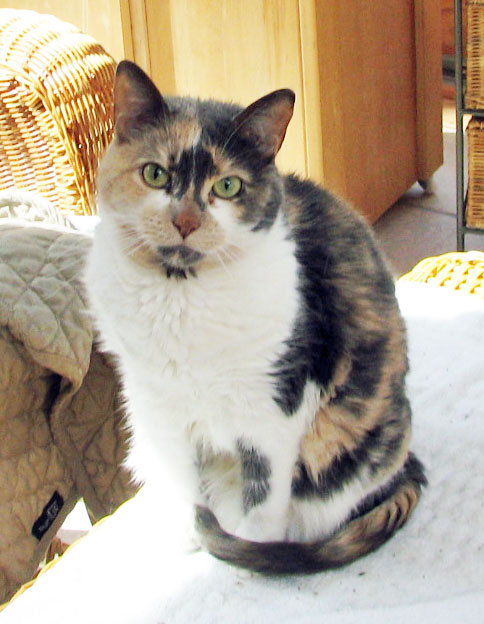 Pets live longer and have a more happy life when their spayed or neutered. I work at a pet store, and the lady that runs the training classes, has told me many times she has recommended spaying and neutering as way to help in bad dog behavior and the owners say, they don't believe in it. I wouldn't be surprised, if many of those dogs didn't end up in a shelter because of this. People need to be more responsible with their pets. Speaking about the Cozy Chicks Love Pets Valentine's Day Party, I received my goody bag today in the mail. It was wonderful, you ladies did a wonderful job with them. Thanks so much. Hi Lynda, thanks so much for stopping by. It's such an important issue and I hope we can get the word out. I know you and I are already believers, but sometimes I think we have our work cut out for us. So many people offer excuses for not getting their pets spayed or neutered. Hi Amanda, thanks so much for stopping by!! I really appreciate your comments and am so glad you enjoyed the Cozy Chicks Valentine's Day party. It's wonderful to see so many animal lovers among our readers!